This story, if had to describe it, is sorta like I'm Really a Superstar for the video-game industry, if the MC went back in time instead of into an alternate reality and didn't get a game-like system. Well, that's what I got from it, at least. Interesting premise about a game developer who traveled back in time to enjoy and influence the Console Wars of the 1980s. The text is decent and the story can be catchy for those who are interested in the history of the video games industry. The translation is good though more notes on the changed names (due to copyright) and some basic info or wiki links would help the uninformed reader. A non-gamer might have a difficult time to connect "Marigee Brothers" to the real "Mario Brothers", for example. The main weakness... more>> of this story when compared to other time-traveling ones is the inclusion of real world figures and notable gaming titles of the industry. As other reviewers have noted, the MC is content to stay in the background to pull the strings and influence events. However, it also means that his existence is superfluous: the gaming innovations and video games that he had proposed would have been released without his input. He was only there to put an impetus so that the games and systems have an earlier release. Of course, this problem isn't unique to GM1983, other time-travel stories where the MC "discovers" a talented person or technology due to his foreknowledge have this dilemma as well. Perhaps it's because of the real world personages and my familiarity with the history of video games that made this aspect all the more glaring. Usually, it wouldn't be a bad thing. Historical fiction stories that involve MCs interacting with real figures or their caricatures can be quite enjoyable. The difference is that meeting those historical figures were not the focal point of those stories, whereas it is the main point of this one (at least, so far). It's like watching a movie with the disclaimer "based on actual events", with the film producers deciding to add a fictional character and change the dates a little to tie separate events together and give an excuse for the viewer to see the different scenes. Suppose there is a fictional story about the creation of the United States Declaration of Independence. One man runs all over the colonies to meet the Founding Fathers and influenced them to write it. It can be interesting, but unless the characters of John Adams and Thomas Jefferson are radically different from history, film-goers will be left wondering about the need for a fictional main character at all. It starts okay, then it just becomes really slow and boring. The story starts by focusing on the video game elements and the video game market. The protagonist makes games and deals with the market. Then, the tone and story suddenly shifts. It is not about video games and the market. It is about romance and bromance and daily life. The story now is about walking and eating and talking and chatting and other mundane things. ... more>> Eh? What happened? The characters are rather bland. Many are based on real people, but they don't really have the personality of the real person they are supposed to be, nor do they feel like real person. The character are the most common stereotypes and cliches. The blandness of the characters are especially apparent in the meandering slice-of-life story the story has become. We are bombarded by their cliche interactions, and dull and uninspired dialogue. The worst thing is, the story is supposed to be about video gaming in the era of retro gaming, but it was thrown out to tell about the snooze-inducing life of the numerous bland characters. A story that starts okay, then meanders pointlessly around throwing away it premise and populating the story with dull uninteresting characters. - The way the MC approaches and handles situations is different. The MC is very calm, mature, and experienced. this story is really good but the TL has dropped it. c65 is the last chapter and c66 is basically a huge FU from the translator. This is because c66 is when the MC starts to change history and create his own 'future'. the frustrating thing is that c65 is essentially a good end for us unless someone wants to pick it up so don't read c66. Game Market 1983, Game Market 1983... what an awesome, spectacular, brilliant novel. Words alone simply cannot describe my admiration for this novel, it immediately slotted in right into my most favored KR novel, my most favored slice of life novel and is all the way up to 2nd on my novel rankings. This novel just keeps getting better and better. A lot of people compared it to I'm Really a Superstar, but I beg to differ. Although I do understand the comparisons. The genre of the novel is Workplace novel, which... more>> the only other notable workplace novel in the entire NU is IRAS, hence the comparison. IRAS focuses much more on comedy, reactions and dealing with xianxia like vilians where GM 1983 deals a lot more with games, game developing, marketing & planning. There is much fewer comedy in the story in comparative to IRAS but there's one every moment or so mostly light-hearted ones though. This is a more serious-slash-casual story than IRAS. It also has lots of small time skips, unlike IRAS. GM 1983's plot is pretty fresh, but it's not anything new or groundbreaking. In fact, it is how the author executes the story that made my admiration peaked for this novel. Decent plot but wonderful execution of the story, this is a rarity amongst rarities and GM 1983 deserved to be one of the bests. Character : Kang Junhyuk the MC of the story is a lovable person. He is smart, calm & collected. He plans for the bigger picture much more than we think he does. He ticks every box I have for a calm & collected MC, he is playful at times but knows when to be serious, he is also a kind person. The only problem I have with this novel, not that it matters a lot but let's say slight slight problem, is the bit lacking of character interaction. I feel that a bit more character interactions would do fine and there are plenty of interesting characters after all. Story : Just like I said before, the plot of the novel is pretty much decent, but how the author executes it is why it's so awesome. If you are a gamer of the 80s, 90s and early 2000's this novel will be a great reminiscent for most of you and it is simply a joy to read. If you aren't one though? That is still fine! Because this story is so awesome that you just have to give it a try! 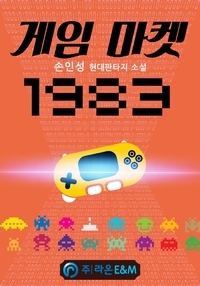 Other than game developing, this novel also lets us peek into how the history of gaming unfolds and not to mention Kang kun's brilliant marketing for the games, both which are an incredible plus for the novel. Just like how in IRAS, we are able to get a peek into the chinese culture, GM 1983 offers us a peek into the gaming culture :D.
But a small warning, be a bit patient, please. I realize most NU members doesn't have this. The first arc of the novel is just the premise to the story so please, please be patient. Style : Probably one of the best out of KR novels, there is more interaction and you feel closer to Kang Jun Hyuk than most other KR Mcs. So far it's quite a refreshing story about a middle aged man longing for the golden age of video games. The MC is a good natured character, would definitely recommend to read when bored. Let me just start off by saying I created this account 'solely' for the purpose of making this review. Up until now, no other series has prompted me to spend the effort. So yes, in short I believe this series to be worth the time of everyone looking to try it. Well written/translated, interesting and unique story despite there being a few other similar series around right now. This one takes a more interesting route than the others and does it much better in my opinion, especially with regards to characterization..... more>> The MC is simply put, 'real'. He is a completely normal human being with no over the top/cliche character traits you'll find in god knows how many stories being translated right now. What I mean by this is the fact that we, as readers, are able to relate extremely well to this type of character. Where as other series tend to go the route of "wish-fulfilment", this story does thing in a way that still gives that sense of excitement and 'hype' without completely destroying the thought-processes of the character and how they act. He is completely and utterly 'normal' in real world terms, but at the same time he is 'exceptional' by what I can only call invisible standards. Some of what I said may sound strange, but the simplest way I can put it is that the main character is not some over the top idiot that completely ignores the society around him. It is easy to place ourselves in his position without imagining too many ridiculous scenarios, and that really helps the story I think. Perfect for readers of manga "High Score Girl". The first KN that feels Japanese. Seeing different races coming together is nice. This is really good. What I didn't like is the 'Time Travel'. MC pretty much gave everything away to go back in time. Even his life span! He wont be 30 but an old grandpa in modern timeline! I was expecting the MC to work his way up with the new cheats in Modern Society. And show his former boss how its truly done! The story doesn't feel real... more>> because he's pretty much breaking the 4th wall. MC intervenes with history and works with historical figures in gaming. In the chapter 20s he's already messing with history and ruining businesses. I am disappointed but at least its entertaining. I would rate this 3 stars but Its too unique as a KN. Romance: I hate love triangles. Its pretty funny but there's Secretary, News Girl, Gamer Girl. All girls have their unique qualities. News girl is a tsundere. Secretary is amazing intelligent. Gamer girl is funny. But the Writer is so indecisive. He keeps changing script to much that he doesn't use these girls. Secretary girl tried so hard for MC. Learnt new language, joined his side and stayed loyal against her company.. Gamer girl. I was expecting more from her considering she's the only gamer out of the 3. Hardly gives her input and is just there. Its just Author venting his feelings about how awesome old games are. I really think the Author could had taken a better approach in all this. It feels like MC just stuck living on the past. I hope in the end he chooses his old life.. Who knows maybe that girl will find him? Ah.. but she'll be as old as his mom... lol. I just wanted to say I really like this one, not sure why but I just do. Its definitely not the best novel out there but it was a really nice change of pace from the other novels ive been reading lately. This wont interest you if you dont like video games and even if you do most of these games are all old games as the setting takes place in the 80's. Give it a chance though its entertaining. If I view this as a reader wanting to look for some action, drama, thriller, and other forms of excitement, then this novel would just be average. But the thing is, I am an open-minded person, so upon reading this until my latest chapter (c52) I forgot everything and enjoyed reading about the history of gaming (or at least the concept of how the gaming industry came to be). This story is pretty good however in the later chapters the story just nose dives for me. I don't understand why the MC has to meet his younger self or even meet a younger version of his family. I don't understand why a women who is barely even fleshed out is enough for the MC to stay in the time period. The MC literally has a tool that allows him to be anyone at any place in history. He could become literal god and yet he takes a step back and manipulates things from the shadows. The same things that are bound to happen anyway without his meddling. Its such a shame for this story, the Author just decides to shove love or anything else into it, forgetting what was the main draw in the first place. After reading this I cant be mor dissapointed. Such a good start but there many problems with this novel, the author should have investigated more. In the age of NES there is not castlevania, not metroid, not megaman, the author just mention Super Mario, Dragon quest and Final fantasy. At least the MC dont plagiariza other works but then again in the age of SNES the MC left nintendo and start to buy Square soft. Then again the author dont even know the games of this generation. Lately in the age of Playstation the MC create an Idol videogame but things go wrong and one of the voices of the virtual idols die of cancer and 5 peoples then decide to suicide (WTF japan?). The MC decide to stop making games and thats the end of the novel. I thought the whole thing was great and was a very interesting idea, it's a second chance novel, with a slightly different concept centered around video games and developing them. The only part that you sort of have to take with a grain of salt is the part where he leaves to go back to Japan after he kisses his secretary and when he is with the girl he likes in Korea after that. What can I say, it's a boring story, it's like a history book about games where the MC participates in make it flourish earlier on. The MC didn't have any sense of friendship toward his colleagues maybe due to them being Japanese, maybe the author couldn't do it fearing the public reaction due to historical enmity. Well he didn't say anything bad about Japaneses though, but you can feel that he just sees them as a stepping stone, even those that he supposedly respect in the games history he didn't... more>> really respect them when he gets to know them personally, especially when he thinks to himself. It's interesting and enjoyable. The MC's likable. -Time passes perhaps too quickly, with the MC's actions often painted in broad strokes. On the other hand, it's refreshing that years actually pass, unlike in many stories where a year might drag on for hundreds of chapters. -So far, the MC has been acting modestly, and he's gotten next to no recognition from the world at large for his accomplishments. He should be considered the... more>> Father of the Game Boy, if nothing else. It'll be annoying if this continues. Still, his inconspicuousness is an intentional choice by the author, so we'll see what comes. -Partly because of the above, the expected plot seems underutilized. On a related note, though it's nice that the MC doesn't rely on his cheat item, that fact has made its existence superfluous. The thing is OP, and truly unnecessary for the MC to succeed; it'd be better if he didn't have it. -The bit of romance so far wasn't unexpected, but it was flung in. 4.5 out of 5, though that's likely to change depending on whether the faults will remain, or whether the author will end up negating them. Maybe it's jumping the gun to give story a 5* rating, but thus far it holds that much promise. If you are a game enthusiast, then even if the main character didn't exist and you were simply following the narrated tail of Shigeru Miyamoto and company, this would still be a fantastic story. The author doesn't dwell too much on the logistics, the relationships, the market and so on; it just casually breezes you through the history the way a youtube gamer documentary does it in 15 minutes. And if... more>> you frequent novelupdates and enjoy all the time traveling, body swapping, main character bias and so on, well that's icing for you in this tale. In fact it's quite refreshing when all is put together since the setting and plot escapes the traditional tropes on this site. However, it has to reach a turning point. Like many people have said, once the timelines diverge it's difficult to see what direction the author can take to prolong the longevity of the story. The main character isn't exactly a multifaceted deep individual. He's still your regular joe-schmoe, smug, gary-stu-i-fied, protagonist. The author has rely on the video game development aspect to maintain interest in this story and the chapters just haven't reached the "problem" of the plot yet. All in all, keep an eye on this one; it could be good.